Bacchus and the other DJs of Thee Hourz O' Power. As part of the show, Bacchus is required to remain anonymous. Metal music is a highly amplified and aggressive form of rock that has had its fair share of misconceptions. 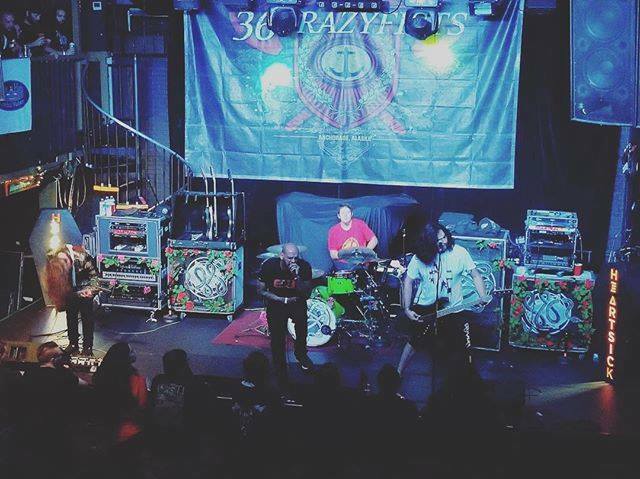 “The silliest one is that all metalheads are Satanists,” said one of the hosts of Impact FM’s metal show Thee Hourz O’ Power in East Lansing. A very real misconception that people have is that metal is just full of screaming, said Bacchus, the DJ’s on-air name; he declines to publicly reveal his real name. Experts agree that metal music began in the United Kingdom in the ‘70s. The Massachusetts Institute of Technology’s website, Teachrock.com, identifies the first metal band as Black Sabbath from Birmingham, England. The music made its way to American airwaves with beloved bands like Metallica and Slayer. Both bands have mellowed. Is that true for all metal music in America? Not in Lansing. Metal music is here to stay, insisted Bacchus. 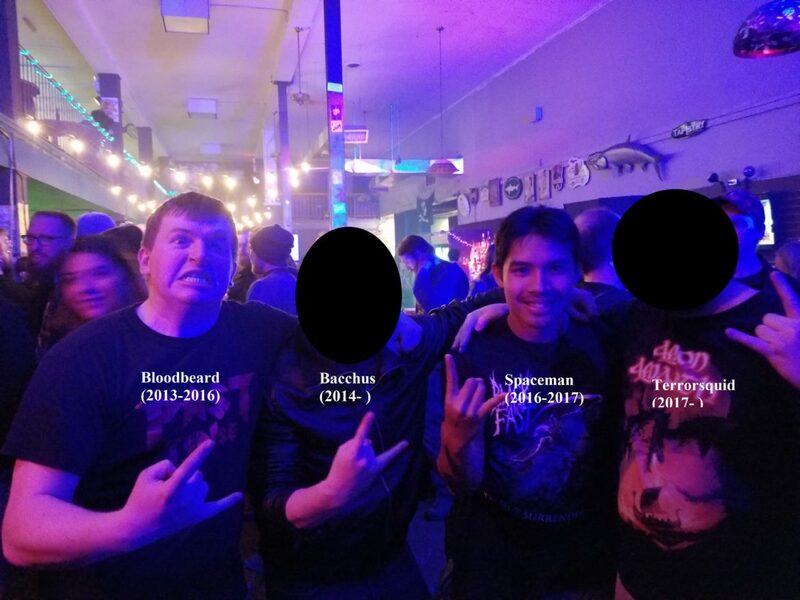 Considering how Thee Hourz O’ Power has been mid-Michigan’s only metal show for 25 years, it is easy to see how Lansing is a hub of metal music lovers. The show hasn’t changed much. “There are plenty of older fans and musicians that I’ve had the privilege to talk to through my work in radio and most of them tend to confirm that it’s been more or less the same long-haired, leather-wearing, loud crowd the whole time,” Bacchus said. Alfonso Civile agrees. With 18 years as the lead singer for the Lansing-based metal group Heartsick, Civile has fans of different ages. “So the fans we had when we were in our late teens and early 20s have changed in some of their tastes but with them growing into other tastes the kids who were too young to care now are in their late teens and early 20s and now they are into the band,” Civile said. Alfonso Civile and his band Heartsick performing at one of their shows. Close proximity to a university may have helped popularize metal music in Lansing. College radio has always been one of the best platforms for people to spread music, Bacchus said. Anahita Saifollahi, a sophomore studying human biology at Michigan State University, enjoys listening to metal music. But she rarely get requests to play it during her stint as a DJ on Impact FM. Saifollahi is grateful for Thee Hourz O’ Power as it is a place that welcomes her metal music tastes. Thee Hourz O’ Power and metal music will continue to grow in Lansing, Bacchus said. “I know of more bands now than at any point in the past that are making their living as musicians, and I think that speaks for itself. Marsya Mohd Johari is currently pursuing a bachelor's degree in Journalism with a concentration in visual communications. She hails from Subang Jaya, Malaysia. The activity threatens the existence of key Lansing-area music venues. The Sounds of Lansing aims to cover the local music scene, ranging from student musicians, community performances and anything pertaining to music in the Lansing area.